On 24th July 2018, the Ministry of Housing and Local Government published their revised National Planning Policy Framework (NPPF) which comes into effect immediately. Much of it has been rehearsed in a draft version published for consultation back in March, but there have been some notable changes made since then. Here we provide a few key headlines for those working in the development sector to be aware of at this early stage. The new NPPF retains a pro-growth stance in the context of the government’s recent spotlighting of housing and ministers’ ambitions to ramp up delivery to 300,000 per year by the mid-2020s. It comes with a noted emphasis on increasing densities where appropriate to secure the most effective use of land, with a refined focus on ensuring Local Authorities are creating the right policy context for increased delivery. However, there is no positive provision on review of green belt boundaries to ensure they best meet the needs of modern society, which many respondents during the consultation period had cited as an essential component in addressing housing need and creating sustainable places. New housing delivery test to be introduced. Local authorities will be subject to a new housing delivery test from November 2018. Those found to be under-delivering over a three-year period could be penalised by being required to allocate five, ten, or 20 per cent above the land they would otherwise have to allocate in order to catch up. Their polices will be regarded out-of-date and the presumption in favour of sustainable development will apply, exposing them to greater risk of speculative planning applications on unallocated housing sites. New standardised method of calculating housing need coming into force. The new standardised method of calculating housing need comes into play in January 2019 and is enforced through paragraph 60. This method has been in Planning Practice Guidance for some time and has been the cause for some local authorities to reconsider previously planned housing figures. It is also designed to avoid disputes over housing numbers at plan-making stage. However, the government has also announced it may revise the method when new household projections are released in September 2018, which are expected to be lower. New viability assessment guidance applies. Clearer guidance on viability assessments now applies – this includes measures designed to ensure less ambiguity over how land value should be determined. See our post and postscript on viability from earlier this year. Broader definition of affordable housing. The definition of affordable housing has been altered to include social rent, affordable rent and starter homes – these did not appear in the March 2018 draft. In contrast to the 2012 NPPF, it now also includes ‘discounted market sale’ (sold at a discount of at least 20% below local market value) and specifically references rent to buy under ‘other affordable routes to home ownership’. Paragraph 34 allows for local authorities to specify the types of affordable housing provision required as part of developer contributions in line with this new definition. Broader affordable housing definition applies to rural exception sites. The new definition of affordable housing also now applies to rural exceptions sites. Under paragraph 71, local authorities are also encouraged to promote a new form of ‘entry-level exceptions site’ specifically providing homes suitable for first time buyers (or equivalent, for those looking to rent). These latter types of exceptions sites should not be more than one hectare in size or exceed five per cent of the size of the existing settlement. Tighter green belt tests. The green belt continues to be protected and tighter tests now apply to ensure it is only released where all other options have been exhausted. One of these includes the introduction of ‘policies promoting a significant uplift in minimum density standards in town and city centres and other locations well served by public transport’. Where green belt is released, it should be ‘fully evidenced and justified’ and plans should prioritise releasing parts of it which has been previously developed and/or are well-served by public transport. Longer list of forms of development permitted in the green belt. Notwithstanding this, the list of forms of development which are ‘not inappropriate’ in the green belt provided they preserve its openness and do not conflict with the purposes of including land within it has been extended. This includes material changes in the use of land (eg. for outdoor sport or recreation, or for cemeteries and burial grounds); and development brought forward under a Community Right to Build Order or Neighbourhood Development Order. Lower proportion of local authority housing to be allocated on small sites. 10% of each local planning authority’s housing requirement must now be allocated on small sites of one hectare or less unless it can be shown that there are strong reasons why this cannot be achieved. This has been lowered from March’s draft version, which required 20% of all allocated sites to be on sites of 0.5 hectares or less. This stepping back of the requirement has been made in response to industry concerns about the deliverability of smaller sites. Garden city principles recognised. 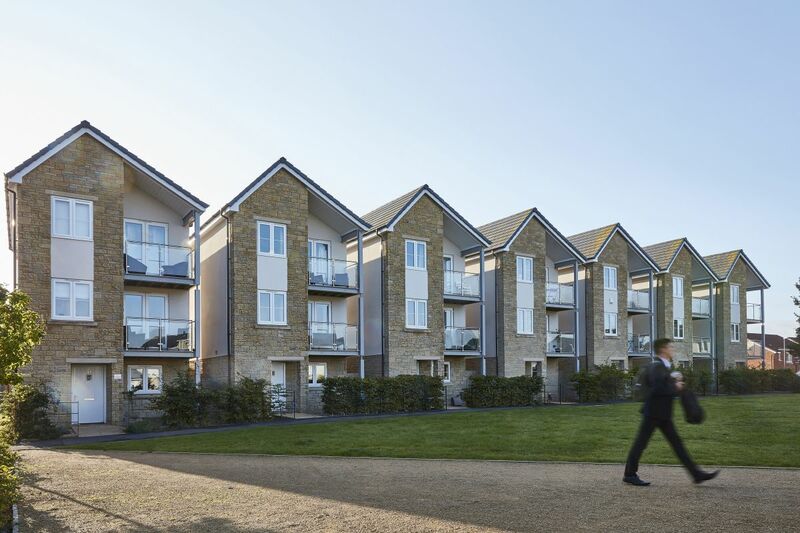 There is a shift towards reinstating garden city principles, including paragraph 72 which recognises that the supply of new homes can often be best achieved through planning for larger-scale development. It goes on to set requirements for local authorities wanting to pursue new settlements or significant extensions to existing villages and towns, stipulating that they must be well located and designed and supported by the necessary infrastructure and facilities. PPAs advised for large/complex developments. Planning performance agreements (PPAs) are likely to be needed for applications that are particularly large or complex to determine, according to paragraph 46. This may signal more widespread use of PPAs by developers in the future. If you have any questions about the new NPPF and what opportunities it may present for your development project feel free to get in touch with a member of Nash Partnership’s planning team.